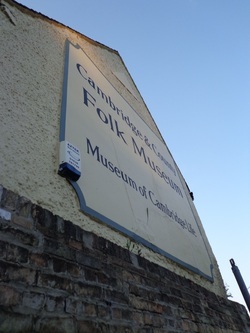 The Cambridge Folk Museum is often overlooked as it stands on the corner of Northhampton Street and Castle Hill.. It is in an 17th century building which used to be an inn for 300 years. Jane and I attended a talk here and I was able to walk around and take a look. It is a bit out of the way for the main tourist track. Its a small and cosy museum depicting what life was like in Cambridge. It is very child friendly and they have events for the children. If you are sick of packed attractions but still want a bit of history, this might just be what you are looking for. They hold other events and exhibitions so check up repeatedly so that you won’t miss a thing! This is a hidden gem.